How can I help my son with Aspergers to thrive at high school? The teenage years can be complicated for kids with Asperger’s. High school can be a challenge. Juggling social relationships and the increased academic workload can be overwhelming. The teen with Asperger’s Syndrome must have the proper type of support at home and at school in order to be successful. Resources are available to help families and school personnel develop a plan for the student with Asperger’s. “Success Strategies for Students with Asperger Syndrome & Autism,” by The Geneva Centre for Autism, is an example of one such resource. This book gives examples of some common success strategies for students with Asperger’s. You should work with your son’s school to develop a special plan for his Asperger’s. High school special education programs are available for students who need extra assistance. This educational plan, called an IEP (individual education plan) is developed by a team that consists of you, your son’s teachers, and any special education staff who know and work with him. This IEP consists of educational goals, functional behavioral objectives, and special considerations and allowances. Here are a few ideas on some special considerations you might find on a high school student’s IEP. These are in addition to the goals that are specific, time-limited statements that are determined by the student’s weaknesses. Once the IEP is developed and in place, you should offer additional help to your child with Asperger’s. High school can be a positive experience with a little planning. Here are a few things you can do at home that will enhance your son’s high school years. Arrange social activities to build his social skills. Clubs geared towards his special interests are a great way to find people with similar interests. This is great social skills practice. Pay attention to school happenings. Bullying is a major problem for kids with Asperger’s. Bullying can lead to anxiety, avoidance, isolation, and depression. Personal hygiene often lacks importance in people with Asperger’s. Help him stay on a regular bathing and dental hygiene schedule. Make sure he understands the importance of household chores. Help him work on time management and organization with written lists and daily schedules. * Arrange social activities to build his social skills. Clubs geared towards his special interests are a great way to find people with similar interests. This is great social skills practice. * Pay attention to school happenings. Bullying is a major problem for kids with Asperger’s. Bullying can lead to anxiety, avoidance, isolation, and depression. * Personal hygiene often lacks importance in people with Asperger’s. Help him stay on a regular bathing and dental hygiene schedule. * Make sure he understands the importance of household chores. * Help him work on time management and organization with written lists and daily schedules. Welcome to the October 2011 edition of “The Parenting Aspergers Newsletter”. *People mentioned as having Asperger’s Syndrome may or may not have actually have been diagnosed with an ASD. 3. Prominent People Linked with ASD- British Author/Educator/Savant Daniel Tammet Daniel Tammet was officially diagnosed with Asperger’s Syndrome at the age of 25. A well-known savant, he is the author of the 2006 best seller, “Born on a Blue Day”, his memoir. Learn more about Daniel Tammet and his savant abilities by clicking the links below. *The person mentioned above may or may not have Asperger’s Syndrome. I hope this month’s newsletter has intrigued you and provided new and useful information. The next edition of the newsletter is due in November 2011. And as always … please send in any inspirational stories, any questions that you would like our team of experts to answer, any topics that you wish to be discussed, and news stories that you want to share VIA THE BLOG. We will publish as many as we can. Well the summer is over and it’s time to get back to reality. I love the summer because it’s my time. I don’t have to follow all the social rules that are demand of me. Well it’s the night before school and of course I can’t sleep. Everything is rushing through my head. It’s funny for an asberger kid it’s not the excitement of meeting new kids or teachers. It’s actually the opposite. You get this horrible feeling in your stomach almost like you’re going to be sick. You don’t want to meet the new kids because you think automatically that they’re not going to like you. You worry about the bullies you had last year and the new ones you’re going to face. You’re stuck back in a classroom where you keep trying to get heard but instead just ignored. I must say it doesn’t matter how much your parents talk with you and the usual talk is “it’s a new start” you always remember the bad of the last year. Well its now the first day of school. I’m up early and very tired. Did I sleep? NOPE! I’m dressed and my lunch was made. My heart is beating a mile per minute. Am I having an anxiety attack? YES! My mom walks me to the bus stop as she does every first day of school. She bugs me like usual “Try to be nice, talk to other kids, and listen to your teacher and so on.” I know she’s just doing the mother thing but I’m going into grade 8 and I’ve heard this a thousand times before. The bus arrives and my mother leaves. I get on the bus and my eyes goes directly to the bully that every year harass me on the bus. I take a deep breath and find a seat as far away from him as possible. I sit by the window so I don’t have to have eye contact with anyone. I put on my head phones to drown out people talking. When I got to school all I dreamt of was going home. I have a new teacher THANK GOD! I hated my old one. My first impression, she was nice but who knows how she will turn out. Sadly all teachers begin this way. I grab a seat with the girls I knew from last year. I looked around and prayed it would be a good year. The day went well. The best part of my day was when I ran into to my principal who told me how happy he was to see me and then said “don’t worry I got your back this year”. The first few weeks of school had the usual ups and downs. The teacher so far is still nice. So far so good. Actually an amazing thing has happened to me! I applied for the leadership council at my school. 120 kids applied and only 20 students were chosen and I was one of them. The leadership council is responsible for all social events and communication throughout the school. Do they see something in me I don’t see? I really hope I can keep to their standards and to prove, not to them, but myself that I can do this job as well as someone without social problems. As a grade 8 teen with asbergers I’m doing my best to learn and be accepted. Thanks for another great article Matt! P.S. Don’t forget that Matt is writing a book this year. And if there are topics you want him to cover in he book (i.e. from his perspective of a young person with Aspergers) please leave you comment at the end of this blog post. I think my husband has Aspergers can you give me some advice please? Many adults are diagnosed later in life with Asperger‘s. 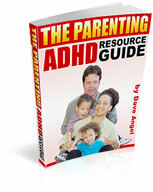 Husbands are often diagnosed after learning about Asperger’s through their child’s diagnosis. This adult diagnosis may explain many issues within a couple’s marriage. Relationships are work for everyone. Relationships that are complicated by Asperger’s Syndrome can be extremely difficult. There is hope for your marriage. The first step is obtaining the diagnosis of Asperger’s. A husband with suspected Asperger’s syndrome may be unwilling to accept the possibility, making life that much more difficult for the family. Most of the time, however, learning the characteristics of Asperger’s are an eye-opening experience that explains the person’s struggles throughout life. This diagnosis can help your husband, and your marriage, get back on the right foot. In the meantime, there are books available to assist the wife of an Asperger’s husband. For example, “Life with a Partner or Spouse with Asperger Syndrome: Going Over the Edge? Practical Steps to Saving You and Your Relationship.” by Kathy Marshack Ph.D.; Foreword by Stephen Shore Ed.D, will help you learn how to take control of your relationship and find new ways to look at the challenges of living with Asperger’s Syndrome. While you are waiting to learn if you have an Asperger’s husband, there are things you can do to make life a bit more positive. Conquer loneliness if at all possible. Spouses often complain of being left alone either emotionally or literally. Find your own interests or hobbies to focus on when you are feeling lonely. This is not meant as avoidance. It is important that you continue to enjoy shared interests and time together whenever your husband permits. Acceptance of your circumstances can be quite freeing. Accept the things you cannot change and work to make the rest more manageable. Educate yourself about Asperger’s. Learn all you can about the condition, its symptoms, and the treatments. Education is power. Focus on your husband’s strengths. This will make you feel better and it will give your husband some much-needed confidence. Find help for your husband’s weaknesses. Medications and therapy can make a huge difference in your quality of life as a couple, as well as his personal well being. Join a local Autism support group. There are often sub groups for adults and spouses. These groups are filled with people who have been in your position. They can help you navigate the condition. Counseling can be beneficial for your husband and for you. Counseling can give you both an outlet for the frustrations within your relationship. Individual counseling, as well as couples counseling are highly recommended for newly diagnosed adults and their spouses. Find help for your husband’s challenges. Medications and therapy could make a difference in your quality of life as a couple, as well as his personal well being. Can you advise me on job training and employment prospects for adults with Aspergers? Finding and keeping a job can be very tricky for adults with Asperger’s. Employment is necessary for independent living, but can be hard to come by. Many of the characteristics of Asperger’s Syndrome can affect job opportunities and long-term employment. However, some characteristics of Asperger’s can definitely be considered strengths for certain careers. Here are a few of these strengths and weaknesses. Weak social skills-knowing and understanding the ways of a work environment; communicating with bosses, co-workers, and customers; understanding social cues, gestures, sarcasm, humor, and slang in conversations; may have speech issues like cluttered speech, that hamper communication . Poor organizational skills-messy work area and inability to complete tasks in a timely manner. Problems with change and transition-prefers set schedules and routines; needs advanced preparation for changes in job related tasks; unable to jump in and help due to transition issues. Sensory issues-may need sensory input to remain calm; may be hypersensitive to the noise, activities, and smells of an office environment. There are options available to the adult with Asperger’s. Employment searches should be based on a few basic requirements. First, career choices should focus on the person’s special interests. These obsessive interests are a characteristic of Asperger’s. Choosing a career based on the special interest practically guarantees success due to the person’s knowledge and desire. Next, take social skills into consideration. If people skills and tolerance are weak, you should choose a job that is more solitary, or that does not include the general public. Finally, it is important that you know your personal strengths and weaknesses due to Asperger’s. Employment that is built around your strengths will likely be an enjoyable and successful experience. There are resources available to help with your search. Many local colleges offer career counseling. Many cities have government agencies that assist disabled citizens with career counseling, job placement, and structured independent living. Contact your local disabilities services center or Autism support group for guidance. In the meantime, books like “Asperger Syndrome Employment Workbook,” by Tony Attwood and Roger N. Meyer, a self-paced workbook for adults with Asperger’s Syndrome, will show you how Asperger’s has affected past employment opportunities so you can improve the future outcome.